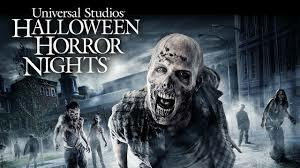 Universal Studio’s Halloween Horror Nights are almost here! This year’s event features more mazes than ever with 8 terrifying mazes based on the most frightening films and television shows – including the demented Roanoke chapter of FX’s American Horror Story and one of the greatest horror films of all time – Stanley Kubrick’s The Shining. Don’t hesitate in getting your tickets for the scare-phenomenon! You Halloween fanatics won’t regret it! Ticket prices vary & select dates apply. By test2699| 2017-08-23T12:58:38-07:00	August 23rd, 2017|Exclusive Offers, Tips & Events in Town, Tickets|Comments Off on Halloween Horror Nights at Universal Studios!